iPads in the music class? Let me count the ways! 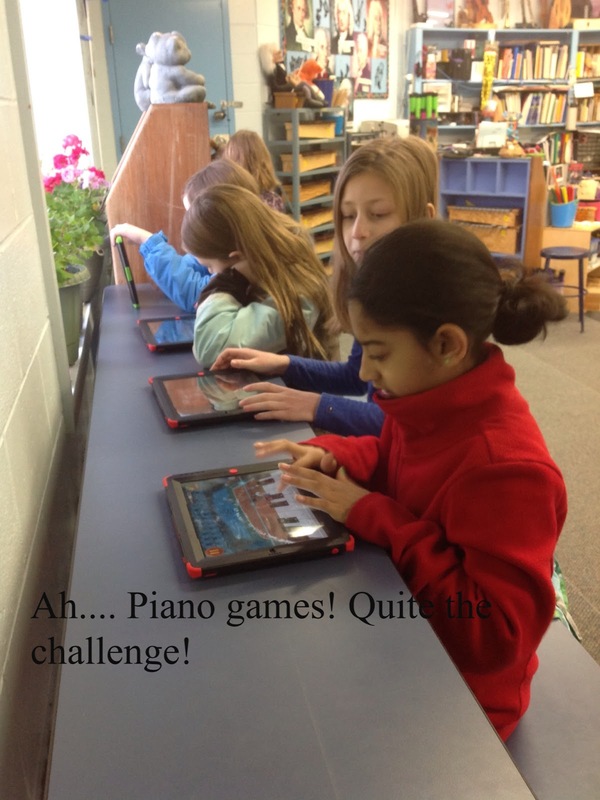 Project Name: iPads in the music class? Let me count the ways! The iPad has made a powerful presence in the YES classroom this year. Let me tell you about a few of the ways we have been using them. iPads for music learning have come from the Yarmouth Education Foundation (YEF), the Yarmouth Music Boosters and we also borrow the set from the YES Computer Lab. CLASSICAL KIDS APP – This app is a story telling app that incorporates historical facts about various composers in an interesting part fictional story format, complete with lots of GREAT classical music. We have heard about Tchaikovsky, Bach, and Mozart’s Magic Flute. I find that these stories have worked really well in chapter type format, and also allows me the luxury of resting my voice and being able to step back and watch students. THE STATES APP – This is very simply a map of the United States and it’s growth since the 1700’s. I used this first when we were learning the 50 Nifty United States song in the 3rd grade. Recently I used this app in the 4th grade when we were learning about the history of African American spirituals. It helped to show the split between the North and the South and the Ohio river, referred to as the Jordan River in so many spirituals. PIANO GAMES APP – We used this app in both the 3rd and 4th grade when we were learning about beat and tempo. It tied in beautifully with the 3rd graders who study Countries. This app is a game that helps you to learn to play the National Anthems from various countries. 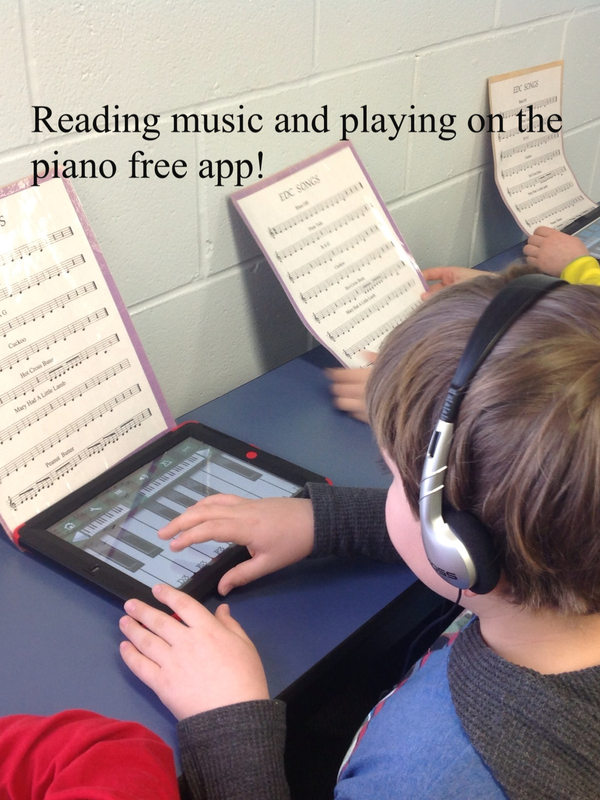 PIANO FREE APP- This app is simply a piano keyboard, and worked really well with the 3rd graders who have been learning to read 3, 4 and 5 note songs on various pitched instruments. EXPLAIN EVERYTHING APP – This app worked really well with the 4th graders when they were learning how to write BAG songs for the recorder. Not only was it helpful with students that were absent and missed the initial instructions, but this app also allows you to take pictures. I was able to take pictures of all of the songs and then we were able to play all of them as a class! Way cool! iAUTOHARP – I haven’t had a chance to use this app yet, but I’m looking forward to using this with 4th graders. They will be able to play chords on this autoharp app to accompany others who are playing recorder. So far this year, I have utilized the iPad in several ways. I use the iPad to take photos and post them directly to my Blog. I have downloaded several apps which students access to promote literacy and math skills. Students work with a partner on the iPad during a few scheduled times each day. There is a schedule rotation, so that students know when their turn is. I also can use the iPad along with the class projector to play interactive story books. Posting to our class Blog directly enhances student learning by facilitating communication between school and home. Even though I think my learning activities are fun and exciting, I know that many students go home and say “nothing”, or “played at recess” when asked what they did at school during the day. When parents and children can sit down and view photos of what we did at school, it provides a springboard for conversation. When children talk about what they learned at school this further cements the learning that occurred. 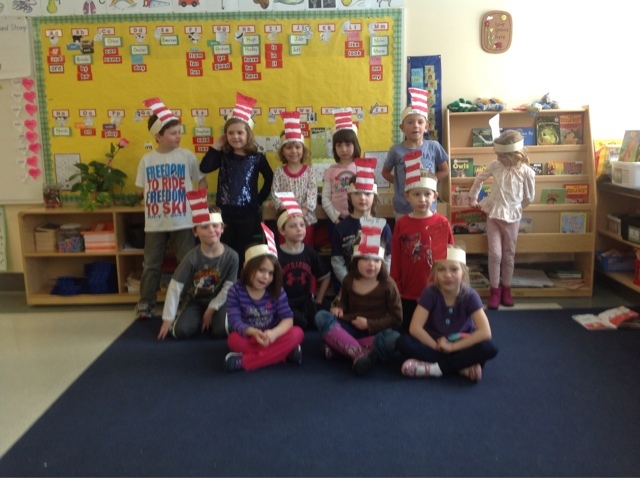 It also builds higher-level thinking skills as students think and talk about their learning.